I had photographed Mara's older sister's Bat Mitzvah a couple of years ago, so I was excited when her family contacted me for Mara's. The ceremony was at Temple Sinai in Squirrel Hill, and the party was at the Longue Vue Country Club in Verona. 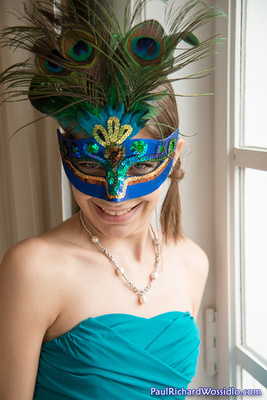 Mara's theme for her party was "Masquerade", so all of the kids had decorative masks to wear. DJ Vanessa had plenty of music, balloons, and games to keep the party going. Photos from Mara's big day can be found HERE.